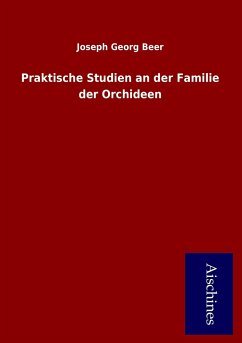 Excerpt from Praktische Studien an der Familie der Orchideen, Nebst Kulturanweisungen und Beschreibung Aller Schönblühenden Tropischen Orchideen Der freundliche Leser möge nicht ubersehen, dass unser Buch fur Pf'lanzenkunde und Pflanzenkultur geschrieben ist, dass es daher in sehr verschiedene Hände gelangen Wild, und dass wir nach Möglichkeit trachteten. 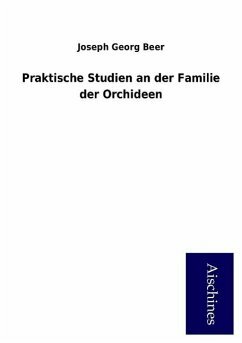 Beiden Theilen einigen Nutzen durch die Herausgabe dieses Buches zu schaffen. About the Publisher Forgotten Books publishes hundreds of thousands of rare and classic books. Find more at www.forgottenbooks.com This book is a reproduction of an important historical work. Forgotten Books uses state-of-the-art technology to digitally reconstruct the work, preserving the original format whilst repairing imperfections present in the aged copy. 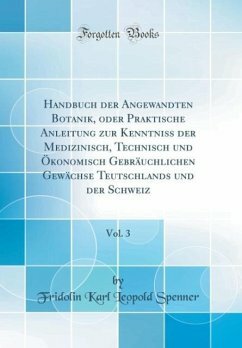 In rare cases, an imperfection in the original, such as a blemish or missing page, may be replicated in our edition. We do, however, repair the vast majority of imperfections successfully; any imperfections that remain are intentionally left to preserve the state of such historical works.